Motorists often gripe that parking in their city is run by 'extortionate gangsters'. But if you live in Indonesia you may mean it literally. A dramatic feature of parking in Indonesia's parking scene is the alleged role of thugs or gangsters. I have posted before about informal or illegal on-street parking fee collectors. But today I am talking about gangsters in the FORMAL parking fee collection system which applies to on-street parking in most Indonesian cities. It is a strange situation. Let me try to explain. Paying for parking is widespread across Indonesian cities, although the prices are low (even taking local purchasing power into account). You can typically park a car in the street for many hours for a flat fee of 2000 rupiah (Rp). That's about 20 US cents. These small amounts are enough to support a complicated rent-seeking ecosystem. The parking fees are collected by parking attendants (‘juru parkir’ or jukir) under a system of individual contracts for each attendant’s tiny patch (the short stretch of street that one attendant can handle). The 'Indonesian Policy Wonk' blog (by a recent student of mine!) provides a colourful description of Jakarta's parking attendants and some useful background. Each little patch is associated with an attendant licence or permission letter (‘surat izin’). In theory, this piece of paper entitles only the attendant and two named assistants to collect parking fees on this patch. They get an official vest, which would be blue in Jakarta for example, and orange in Palembang. Usually this system is overseen by the transport department of the local government. Now here comes the key point. In reality, most of the actual parking attendants out in the streets and their assistants are NOT the same people as listed on the licenses. You may have guessed what is coming. The people with the formal permission letters are in practice usually a kind of gangster. The Indonesian word is ‘preman’. Australian academic, Ian Wilson, provides more insight on Jakarta's preman world. These parking preman play a rent-seeking or protection racket-type role. They rent out their patch to the actual on-street attendants in return for a substantial cut of the takings. The real attendants also have to pass on revenue to the city. In theory, the attendants are supposed to issue tickets to motorists and pass on revenue based on ticket stubs. Of course, without strict oversight, the attendants generally fail to give a ticket and motorists no longer expect one. So in practice, local governments tend to simply make an estimate of the revenue they can get from each patch. This seems to be partly based on surveys and partly on a negotiation over what the attendant can afford. Presumably, the officials pragmatically take into account the fact that the attendant has to pay the preman too. The street attendants themselves apparently end up with a tiny income well below the national minimum wage guideline. Why is there no action against the gangsters? After all, the role of the preman is hardly any secret. The city transport departments are well aware of what is going on. So why don't they just make sure the attendants in the street get the licenses and not the rent-seekers? Unfortunately, I am told that it is not so easy. The preman have powerful ‘friends’ and protectors. For the same reason, changing the payments system will be difficult. When Jakarta tried to install parking meters a few years ago, they were smashed up within weeks. An attempt to encourage motorists to demand receipts from parking attendants (by offering them the 5th one free of charge) fizzled out with low uptake. In 2005 ITDP reported that the 'interests' behind parking attendants were a strong force against change in Yogyakarta's Malioboro commercial district. It is no surprise then that revenue from on-street parking in Indonesian cities is abysmally low. Even more importantly, on-street parking pricing can't be a useful parking management tool in such a situation. Time-based fees on-street cannot easily be implemented. Any use of pricing for policy objectives or demand-management seems out of the question. Progress in the on-street parking scene in Indonesia will require drastic changes but it won't be easy. Your suggestions welcome! This post is based on what I know about just two or three Indonesian cities. Details probably vary widely around the country. So please correct me via comments if my understanding of these murky issues falls short. You may know better about the situation somewhere in this big country of 200 million people or more. Now it makes sense -- When I was in Manila a few years back there were similar 'enforcement' officers on the street that collected parking fees. They were often 'mamasan' types who ruled their turf with iron hands. I would suggest that the system Paul describes in Indonesia is alive and well in other Asian cities. 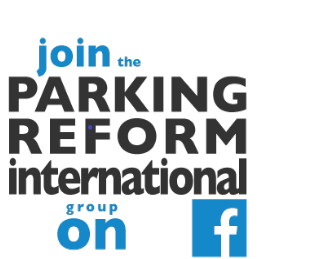 Unless otherwise noted, all content on Reinventing Parking is licensed under a Creative Commons Attribution-NonCommercial-NoDerivs 3.0 Unported License.